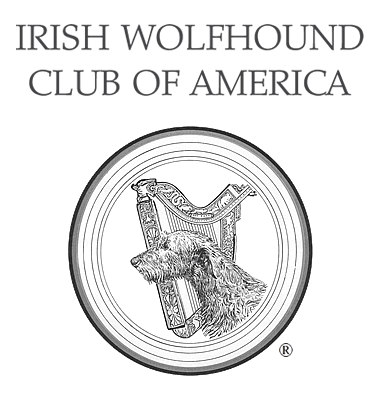 Irish Wolfhound Puppies - Irish Wolfhound Club of America, Inc. The first time you ever met an Irish Wolfhound, you fell in love with the breed. You’ve waited years until you have a house of your own, and a yard big enough to provide them room to run. You know you want to bring home the best Irish Wolfhound puppy you can, but you’re not sure where to start. How do you find the right breeder? What do you need to know before you bring your puppy home? What should you expect in the puppy’s first year? The IWCA is here to help you navigate through these and other questions! Using resources from the IWCA can help you find the best puppy for your family. Irish Wolfhounds develop more slowly, both physically and emotionally, than many smaller breeds. Matching a puppy to the right home is best done after 9 weeks of age, as is liver shunt testing. Liver shunt is a well known malady that can afflict Irish Wolfhound puppies resulting in severe illness or death by 4-5 months of age. Your breeder should test the litter with a simple blood test (bile acid) at about 9 weeks of age. You can avoid the heartache of losing your new puppy by making sure your breeder has tested the litter. What Happens to the Puppy with Portosystemic Shunt?